Every year the organization Reporters Without Borders publishes an online list that classifies each country of the globe based on their level of press freedoms. In 2013, the Middle Eastern nation of Syria ranked 176 out of 179. Over the years, Syria has declined in index ranking due to other nations being added to the list. For instance, in 2002 Syria was ranked 126 out of 139 nations on the list. In 2010, it was ranked 173 out of 178 nations down to the current 176 out of 179. One would expect that as more nations are added to the list Syria will continue to fall in ranking due to zero progress in free speech and press. Syria is a predominantly Muslim nation situated along the Mediterranean Sea encompassing about 71,500 square miles between Lebanon, Turkey, Iraq, Jordan and Israel (Mattar 2129). Syria was once part of Ancient Babylon, which was one of the oldest civilizations on earth centered in present day Iraq. As one of the earliest lands settled by human inhabitants, Syria has extensive historical background. 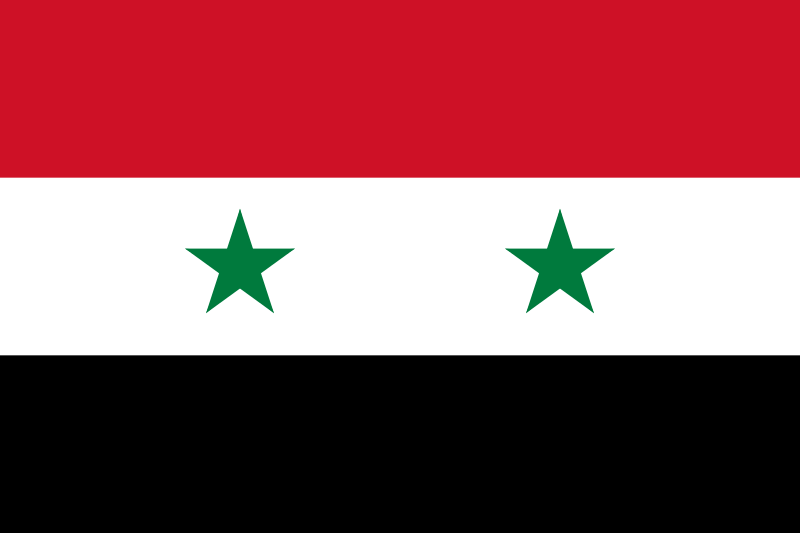 With the exception of the English and Napoleonic, Syria has been included in every major empire from the Akkadian Empire in the 23rd century BCE to the Ottoman Empire that fell in 1918 with the conclusion of World War 1. Syria’s modern history begins in 1948 with their humiliating defeat in the Six Day War against the newly formed Jewish state of Israel. A series of successive coups by the Syrian Army’s leading colonels led the country into great political and social turmoil. The biggest trouble however began in 1963 when the Ba’th Party, made infamous by Iraq’s Saddam Hussein, became the controlling party in Syrian government (Mattar 2130). In 1970, General Hafiz al-Assad, the Syrian Minister of Defense, seized power and remained the single controlling authority until his death in 2000, when his son Bashar al-Assad succeeded his father as president, where he remains today (Mattar 2130). The al-Assad Ba’th controlled government has ushered in an era of extreme political and social stability in Syria and has fostered growth in every aspect of life including agriculture, business and universal education. However, the government does not tolerate opposition and is excessively totalitarian with national power being highly centralized among the president and his appointed cabinet. According to the Syrian Constitution, the Ba’th party is guaranteed majority in the sole legislative house of government. In March 2011, as part of the Arab Spring, Syrian’s opposed to the totalitarian al-Assad regime started a revolution that is now the Syrian Civil War. Since the Ba’th party took control in the 1960s, there have been many limits on free speech to prevent and punish any and all opposition to the central government. Unlike many other countries where their totalitarian governments have collapsed to make way for democracy, the al-Assad-led Ba’thist government of Syria remains in power with their fate yet undecided in the ongoing civil war. However, due to international monitoring, many acts of free speech suppression executed by the Syrian government have come to light. According to Reporters Without Borders since January1, 2013, 18 “netizens” or citizens who post comments and blogs online have been imprisoned by the controlling regime for posts or comments critical of the al-Assad government or the Ba’th party. The government has taken great lengths to include the internet on its press laws in order to limit publication of articles and any comments or blogs critical of the government. As of 2007, owners of internet cafes in Syria are required by law to record all comments and publications made by internet users in their café’s and report them to the central government for screening. The Syrian government has been using tactics similar to Libya’s former Gadhafi-controlled government and Hosni Mubarak’s Egyptian regime used during their respective country’s revolutions. According to the BBC, on 29 November 2012, Syria’s entire internet connectivity shutdown virtually isolating the country from the rest of the world. Syrian anti-al-Assad activists told the BBC that similar internet black outs have occurred prior to major military operations in the areas to prevent Syrians from organizing protests and posting videos of civil rights violations committed by the Syrian military. The government along with the military’s large cyber-warfare division is using the internet black outs to prevent organization of the opposition and to prevent international sympathy for their cause in order to give the al-Assad regime an advantage over its own citizens. Due to al-Assad and his Ba’th government’s extreme tyrannical rule in Syria and their use of civil rights violations to force their own citizens into submission, the Arab League has requested Bashar al-Assad’s resignation as president and the creation of a new, freely elected non-Ba’th controlled legislative body. Around the world and throughout modern history, humanity has witnessed the growth in size and power of the media. Media in any form has the power to sway public opinion one way or another. Media has the power to topple even the largest governments and bring the least significant individuals into the spotlight for any cause. Recently in the Middle East the media has had great power in allowing the people’s voices against their governments be heard on the international stage. In Egypt, the media helped organize protests, exposed the actions of pure disregard for human life executed by the ruling government and garnered international support that eventually led to the resignation of Hosni Mubarak and the establishment of a freely elected government. In Syria, the media has been used to the same effect as in Egypt. The anti-al-Assad Syrians have been using the internet and news outlets to organize the opposition. The Syrian media that have been freed from government control have begun publication of pro-rebel news articles. According to Reporters Without Borders, Syrian President Bashar al-Assad and the Ba’th legislative body have employed many tactics to limit their opposition in the media and to enforce their restrictive laws upon the land. The Syrian regime’s favorite tactic is to arrest and imprison journalists and civilians who have voiced or published opinions critical of the government. In 2012, Mazen Darwish, the president of the Syrian Centre for Media and Freedom of Expression, was arrested along with 15 other people for allegedly operating without permission from the government. Reporters Without Borders wrote that Darwish and his employees were denied the right to be defended in court by lawyers. Darwish himself and four of his employees were held in a military police headquarters in Damascus where they were to receive their trials behind closed doors with no defense. Every year Reporters Without Borders tracks and publishes the number of journalists arrested or killed while reporting around the world. In 2013 so far, they reported that five journalists have been killed, 21 journalists and 1 media assistant have been imprisoned and according to the International Freedom of Expression Exchange, 54 journalists have been killed since the beginning of the revolution in 2011. IFEX also reports that Syrian Air Force Intelligence, the body in charge of Syria’s cyber-warfare, had imprisoned, tried and released a journalist whom they then rearrested and tortured to death. Ayham Mostafa Ghazzoul, one of Mazen Darwish’s contributors was arrested in 2012 along with the others from the Syrian Center for Media and Freedom of Expression and tried for his alleged crimes against the regime. After being released from prison on time served, he was rearrested in November of 2012 and imprisoned again by Air Force Intelligence where he was brutally tortured to death. The Syrian government will arrest any and all journalist they suspect of reporting news with the intention of overthrowing the regime regardless of nationality. According to Reporters Without Borders the Syrian government is currently holding 36 journalists of mixed nationalities. As 176 out of 179 on Reporters Without Borders’ index Syria has many serious freedom of expression and press issues. Unlike Syria, the American people are described as living in the freest country on the planet. The United States however is ranked 32nd on the Press Freedom Index for 2013. Throughout history, the United States Government has made attempts to limit the free speech and press rights of its citizens albeit not to the same extent as Syrian government. The biggest difference between the United States and Syria is the federal court system. In Syria, the courts are notorious for denying the rights of its citizens to a trial by jury and the right to be defended by an attorney in court. The Syrian Air Force Intelligence Cyber-Warfare Division is known for arresting Syrians and holding them in solitude without any connection to the outside world, holding their trials in secret and then carrying out the ordered punishment swiftly and brutally. Besides what is occasionally leaked onto the internet by anti-al-Assad activists not much is known about what happens in Syria’s courts and prisons to alleged violators of the nation’s press and speech laws. In the United States if someone were to be arrested for violating a press or speech law they would have the full constitutional rights to an open trial by jury with a defense lawyer present. The defendant would be able to challenge the constitutionality of the law he or she violated and be fully able to challenge that law all the way to the United States Supreme Court. Once the case reaches the Supreme Court, the defendant’s lawyer can present his case before the Justices and if they rule in his favor, the violated law can be deemed unconstitutional and thrown out as has been done on many occasions in American history. The action taken by the United States government that most resembles the actions of the Syrian government albeit still not even close to the scale of what has been done in Syria is the Alien & Sedition Act of 1789. As explained in Anthony Lewis’s book Freedom for the Thought that We Hate, the Alien & Sedition Act of 1789 was a bill passed into law by John Adams’s presidency that made it a crime to “write or publish ‘any false, scandalous and malicious writing or writings against the Government of the United States, or either house of the Congress…or the President…with intent to defame…or to bring them, or either of them, into contempt or disrepute; or to excite against them or either or any of them, the hatred of the good people of the United States.’”(Lewis 11). This law, if violated, carried a possible prison sentence and a fine of $2,000. The Alien & Sedition Act was the attempt by the United States government that most closely resembles those in Syria. In Syria however, the government has placed laws into effect that make it a crime to utter any word against President al-Assad, the Ba’th Party or the government in general and carries a hefty price. If a Syrian is found guilty of violating any of these laws he or she is automatically imprisoned and given a trial by a government judge without defense. This would unlikely be able to occur in the United States unless the perpetrator is a member of the Armed Forces and is engaged in espionage and treason as in the case of Bradley manning. The federal government in the United States is based on equal rights for all and is regulated by the United States Constitution and checks and balances. If Congress passed a law banning any kind of free speech or free press because it defamed the government and was signed by the President of the United States it would likely be overturned by the Supreme Court for being in violation of the Constitution. In Syria a protester would most likely be arrested for burning the national flag, tried in secret and then shot or imprisoned for life as punishment. After Texas v. Johnson, a landmark case decided in 1989, the United States Supreme Court decided that flag burning for political protest is free speech and protected by the First Amendment. In addition to the three branches of American government that employ the checks and balances, the fourth check to the government is the media. In the United States the media is viewed as the people’s voice, the voice of public opinion. The media is how the people of the United States keep the federal government in line because it is the best way to sway public opinion and support away from the government. New York Times Co. v. United States is a landmark decision decided in 1971 by the United States Supreme Court that protected the media’s role as the fourth check and balance. In New York Times Co. v. United States, the Court ruled that the New York Times had the full constitutional right to publish the classified Pentagon Papers to expose the lies and wrong-doings of the executive office over the Vietnam War. With the media having full freedom and protection to check the government the people are more in control. The Syrian people have no control. They are complete subjects of the Syrian government and have severely limited freedoms under al-Assad’s ruthless regime. So far in 2013, Syria is in the midst of a major civil war. The government is cracking down on anti-regime protests and the Syrian people are fighting back. The Syrian people are done being beaten, arrested and tortured by their rulers because of things they say or write. The Syrian government is ruthless and tolerates zero opposition to its policies and control over everyday life. It is a serious crime to say or publish any defamatory comment or article about the current regime. Nearly every day Syrian citizens and journalists are beaten, arrested, tortured and killed for their desire to be free. Unlike Syria, the American people have protection. In the United States it is unconstitutional for the federal government to try and limit the rights of free speech and free press of the people. The Constitution and the federal court system are the people’s first line of defense against the government. The people are guaranteed their right to free expression and the right to publish almost anything critical of the government without fear of punishment. There are laws that limit some speech and press, not to protect the government’s image, but to protect the people. The United States government is a government of the people, governed by the people for the interests of the people. The fate of Syria is unknown in the ongoing civil war. The people are fighting back. They want their freedom and they want their rights. Until the day that the opposition succeeds and Bashar al-Assad falls Syria’s progress toward free speech and free press is nonexistent. “Mazen Darwish to be tried by special military court.” Reporter Without Borders. Reporters WIthout Borders, 9 Aug 2012. Web. 22 Mar 2013. .
“Syria.” Encyclopædia Britannica. Encyclopædia Britannica Online Academic Edition. Encyclopædia Britannica Inc., 2013. Web. 20 Mar. 2013. .
“Syria.” World Report. Reporters WIthout Borders, 1 Sep 2011. Web. 25 Mar 2013. .
” Citizen journalist died under torture in Syria.” ifex: The Global Network. Reporters Without Borders, 4 Feb 2013. Web. 28 Mar 2013. <http://www.ifex.org/syria/2013/02. "Syria: Internet and mobile communication 'cut off'." BBC News Technology. BBC, 29 Nov 2012. Web. 23 Mar 2013. .
Mattar, Phillip. “Syria.” The Encyclopedia of the Modern Middle East and North Africa. 4. Farmington Hills, MI: 2004.